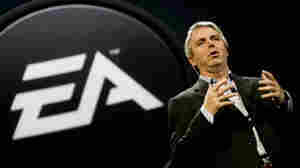 March 18, 2013  John Riccitiello, whose rocky six-year tenure saw a 60 percent drop in Electronic Art's stock price, said in his resignation letter that he leaves feeling that EA "has never been in a better position as a company." September 8, 2010  The U.S. military banned the sale on bases of a video game where gamers can be the Taliban. "Medal of Honor," by Electronic Arts, is like many games which allow players to be the enemy, like Nazis. But those wars are past while Afghanistan isn't.